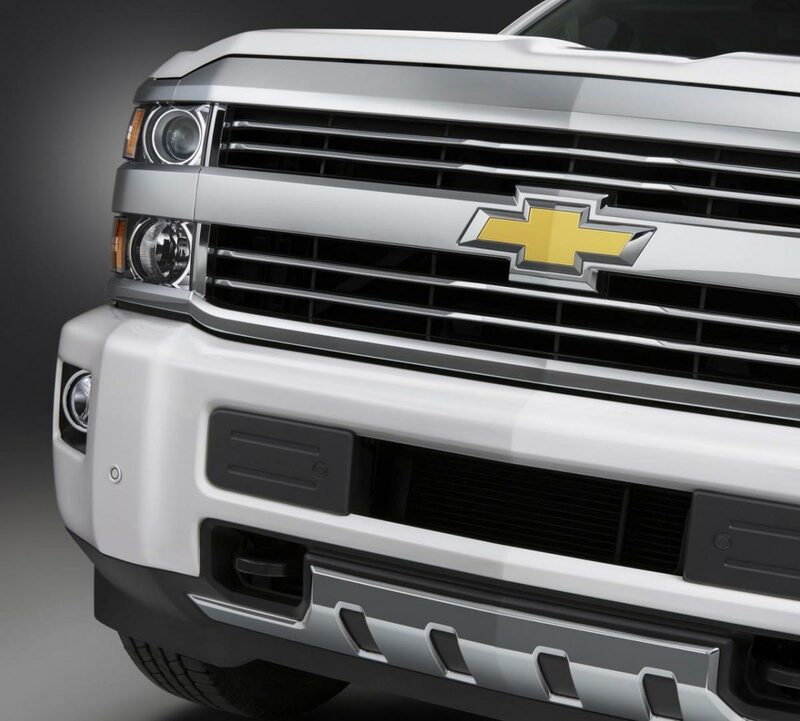 Chevrolet has unveiled the 2015 Silverado High Country HD which features a premium touch to the heavy-duty truck. The model was unveiled at the Denver Auto Show and has received a front grille with horizontal bars along with body colored front and rear bumpers. It also has a six inch tubular chrome assist steps and CornerStep rear bumper along with unique 20 inch chrome alloy rims. Inside the cabin we see custom-made saddle brown upholstery and an eight inch touchscreen display. The car also comes with a Bose sound system, with heated and cooled perforated front bucket seats and front and rear park assist. Furthermore, Chevrolet offers the new 2015 Silverado High Country HD with a rear seat entertainment system (DVD/Blu-ray player) navi system and sunroof. Under the hood, the 2015 Silverado HD comes with a V8 6.0 liter unit rated at 360 horsepower and 514 Nm peak of torque which can also be had in a bi-fuel version. The latter one can run both on gasoline and compressed natural gas. The second engine that can be fitted on the 2015 Chevrolet Silverado High Country HD is a 6.6 liter Duramax V8 turbodiesel rated at 397 horsepower and 1.046 Nm of torque. The High Country can be had in 2500HD and 3500HD crew cab models with two- or four-wheel drive and both of them are scheduled to go on sale this summer.